Why don’t they make good Christmas films anymore? It’s December and it is the time of year when everyone dusts off the classic Christmas films. It’s a Wonderful Life, Home Alone, Miracle on 34th Street or even Die Hard (the best of the Christmas films). All of these are classics but all of these are at least twenty years old! I’m not saying that there haven’t been any fairly decent Christmas films in the last decade but they are too few and far between and we are due another classic. What is worse is that Christmas movies have now become synonymous with poor quality instead of good family fun. This year the Christmas movies seem to be The Night Before, Krampus and Christmas with the Coopers. The first seems to be the usual fare from Seth Rogan and hardly fills me with Christmas cheer, the second is a horror movie (but does show potential) and the third looks like this year’s drastic attempt to capture the “family reunion at Christmas” movie title. It isn’t just this year, the recurring theme of poor Christmas movies seems to be here to stay. The past few years has seen big stars fall short in poor Christmas comedies. Vince Vaughn caught himself in both Fred Clause and Four Christmases, while Ben Affleck found himself Surviving Christmas with Christina Applegate. If original movies aren’t bad enough, the sequels to Christmas classics makes it even worse. Home Alone has three too many sequels, The Santa Clause has two. Jingle All the Way is a cult Christmas favourite but not the Larry the Cable Guy sequel. It surprises me that there isn’t a It’s a Wonderful Life Again or A Miracle on 35th Street! The last gasp of studios producing Christmas films is to set a non-Christmas story in and around the Christmas period. This doesn’t count. Die Hard manages it because Christmas brought the hero to the “party” but when I see Iron Man 3 on modern Christmas movie lists it baffles me. The film wasn’t even released at Christmas, it was a summer blockbuster! Of course, kid’s films gets a fair outing at Christmas and recent favourites have been Arthur Christmas and of course, mega-hit Frozen but alongside these can be the glut of poor Christmas animated films cashing-in. The Polar Express and Jim Carrey’s A Christmas Carol are two motion-captured examples of how not to do Christmas movies. As always there have been some exceptions to the rule. Elf is always a particular favourite and some would class The Grinch (Jim Carrey again) as high on their Christmas movie list but if we can name the few recent favourites, there clearly hasn’t been enough of them! Overall, I miss a time when Christmas could lead to some quality movies. A time when Home Alone was rivalled for the top spot by A Muppet’s Christmas Carol. Now all we get is a cheap cash-in made by a Hollywood star pretending he hates Christmas with his movie-family. No effort and lack of care has meant Christmas themed movies usually mean poor quality. More like this one please! Solid call on Die Hard. The best Christmas film there is! My gosh, you’ve mentioned four of my favorite Christmas movies–Home Alone, How the Grinch Stole Christmas, The Polar Express and my favorite, Die Hard! 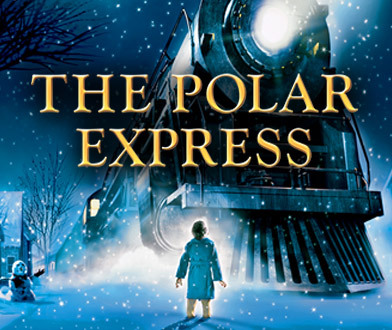 Of all of them though, The Polar Express is the staple film in my family every Dec. 23. The whole atmosphere in that movie is so perfect. Can’t wait to watch it this year! There is a lot to like about Polar Express but I think it would have fared better had it been traditionally animated. Yeah, interesting question. The ones I always rewatch are indeed the ones you mention Muppets, Elf and Home Alone…. We really need some new good Xmas films.